In my review of the Xbox One, I noted that the console came with a curious audio omission. The optical audio output jack was unable to output Dolby 5.1 or 7.1 digital audio. That's a substantial bummer for anyone who uses a Dolby-only gaming headset. Today, Microsoft's Albert Penello addressed the missing feature and said it will be added post-launch. Dolby Digital is coming post launch. This was a SW scheduling issue pure and simple, and I know people are disappointed, but we will have it. Anyone with an HDMI receiver should be fine, as we pass the uncompressed 5.1 and 7.1 through HDMI as well as DTS. Even if you have a Dolby only HDMI receiver (which I'm not sure exists), you will still get 5.1 or 7.1 sound since those receivers should accept uncompressed surround. For the Dolby only headsets, my understanding is that these will work but you will only get stereo audio since we only pass Stereo and DTS through the optical port. I have not tested this myself, but I'm told it works. Regardless, I understand this is an inconvenience, but again we're going to have Dolby coming. Penello was sure to say that this is unrelated to the HDMI-in surround sound issue that causes the Xbox One to downmix cable surround sound to stereo. As Stephen explained yesterday, most users can turn on a beta option for surround sound and get cable surround working with their systems. Astro Gaming is one of the companies most directly affected by the lack of Dolby Digital at launch. Astro makes the very popular, very expensive A50 and A40 surround-sound gaming headphones, which require an optical Dolby signal to work at full capacity. I really like Astro's headphones, and have used them for years now. Earlier this year, Astro assured customers that their headsets would work fine with the Xbox One. "Game Audio for the Xbox one will function as normal, through the optical output," they wrote, "meaning all our current products will deliver full Dolby Digital game audio on the Xbox One." They went on to say that they're an official Xbox One partner and while they couldn't talk specifically about what they're working on with Microsoft, "Rest assured, none of our current products will be made obsolete by anything going on in the Xbox One ecosystem." 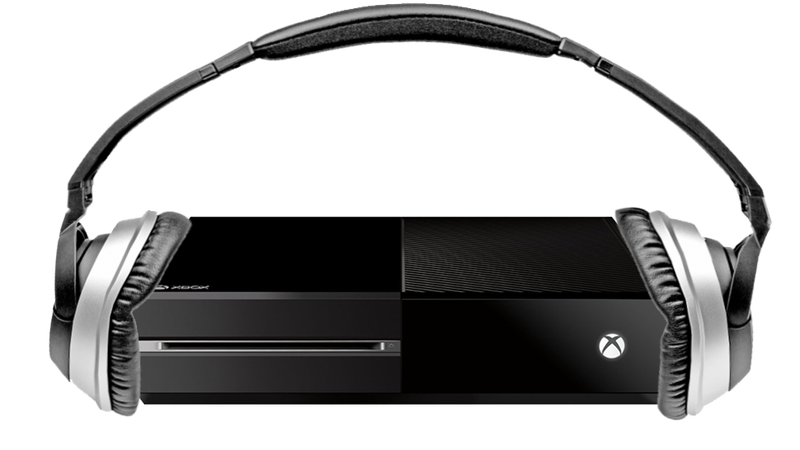 ASTRO Gaming still provides a Dolby ® Headphone 7.1 experience on the Xbox One – even from a stereo input. Microsoft's decision to drop Dolby ® encoding on their SPDIF output at launch does have ramifications for ASTRO's products. While our products do not process DTS signals, we do have on-board Dolby ® encoding in both our A50 Wireless Transmitter as well as our Wired MixAmpTM Pro. An Xbox One gamer will need to select Stereo output for game audio, but our MixAmps will process that stereo signal with Dolby ProLogic II and encode it with Dolby ® Headphone – *the* gold standard for simulated 7.1 Surround Sound for gaming headphones. So have no fear gamers, your ASTRO's will still provide a Dolby ® Digital Surround experience no matter what your console choice. That's a positive spin on things, to be sure. Yes, Astro headphones will still work with the Xbox One. You can still plug them into the Xbox one's optical cable, and if you select the stereo output option, you'll still be able to hear the game. That's because Astros are capable of upmixing a stereo signal using another Dolby technology called Pro Logic II, which can intelligently spread a stereo signal into surround sound. But it's not as precise or enveloping as a pure Dolby 5.1 signal. So, just to be clear: The Xbox One doesn't currently do optical audio as well as the Xbox 360, PS3 or PS4. The good news is that in the (hopefully near) future, Xbox One will support the usual surround-sound output formats and users with high-end gaming headsets will be able to enjoy full surround functionality. The bad news is that at launch, they'll have to make do with upmixed stereo. I've been asking Microsoft about this for a while now without getting an answer as clear as Penello's forum post, and have reached out again to see if I can get a better sense of their update timeline. I'll update as we go. To contact the author of this post, write to kirk@kotaku.com or find him on Twitter @kirkhamilton.